According to Roger Stone, the CIA is urging President Donald Trump to delay disclosing some of the files for another 25 years. More than 3,000 never-before-seen documents from the FBI, CIA, and Justice Department are set to be released, along with 30,000 that have only been partially released in the past. The document dump “will simply fuel a new generation of conspiracy theories,” write Philip Shenon and Larry J. Sabato. The CIA is urging President Donald Trump to delay disclosing some of the files for another 25 years according to friend and political adviser Roger Stone but the National Archives would not say whether any agencies have appealed the release of the documents. 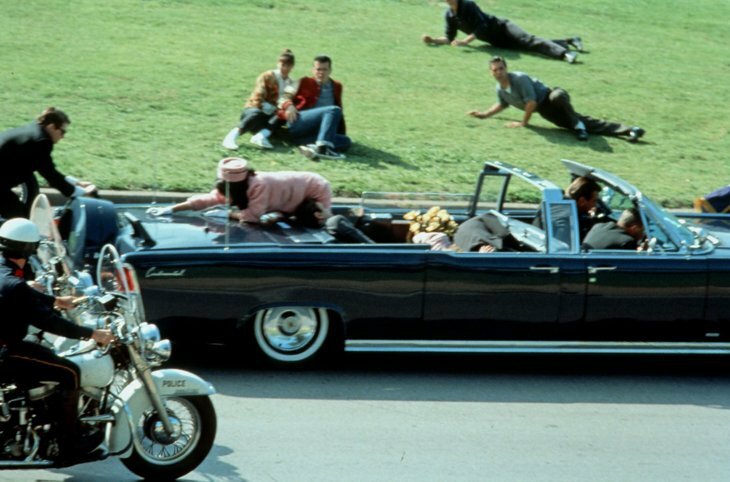 According to The Gateway Pundit Roger Stone and Gerald Posner, two New York Times bestselling authors who are polar opposites about who killed JFK, have joined together to urge Donald Trump to release all the remaining classified files on Kennedy’s assassination. About 3,100 files are still sealed in the National Archives. Under the 1992 JFK Records Act, the Archives have until October 26 to decide which of those files to publicly disclose. Some of the classified documents include a CIA personality study of Oswald, top-secret testimony of former CIA officers to congressional committees, transcripts of interrogations with Soviet defector and Oswald handler Yuri Nosenko, letters about the case from J. Edgar Hoover and Jackie Kennedy, the CIA file on Jack Wasserman, the attorney for New Orleans mob boss Carlos Marcello, and the operational file of E. Howard Hunt, career spy and Watergate burglar. Roger Stone, in his bestselling 2013 The Man Who Killed Kennedy: The Case Against LBJ, set forth the case that LBJ was the mastermind of plot that included the CIA, the Mob and Big Texas Oil to kill Kennedy. Gerald Posner, in his 1993 bestselling finalist for the Pulitzer for History, Case Closed: Lee Harvey Oswald and the Assassination of JFK, concluded that the Warren Commission conclusions are correct and Oswald acting alone had killed Kennedy. While they might not agree on who killed Kennedy, Stone and Posner are longstanding advocates for the release of all the government files on the assassination. “These files should have been released long ago,” says Posner. “The government does this all the time, over classified documents and then holds on to them for decades under the guise of ‘national security.’ All the secrecy just feeds people’s suspicions that the government has something to hide and adds fuel to conspiracy theories.” Posner is convinced the case will still be closed when the last document is made public. ”I know CIA Director Pompeo is urging the President to delay release of these records for another 25 years,” said Stone. “They must reflect badly on the CIA even though virtually everyone involved is long dead.” Stone believes the evidence supporting the case in his book is still hidden somewhere in government files. Both authors called on President Trump – who is empowered to make the final decision should the National Archives or CIA balk on releasing all the files – to opt for transparency.